As Christmas is just around the corner, are you already double checking your list? Are you already planning for your Christmas celebrations with family and friends? What do your Christmas celebrations look like? We do a lot of things just because that is the way things have always been done. Someone, somewhere started a Christmas tradition and we keep doing it that way year after year. When I think of some of my family’s traditions, I remember certain foods we ate every Christmas Eve at my Grandma’s house. There was never a question about what we would eat that night…it was always the same menu. What are some of your family traditions? Would you say that your traditions are focused on Jesus? 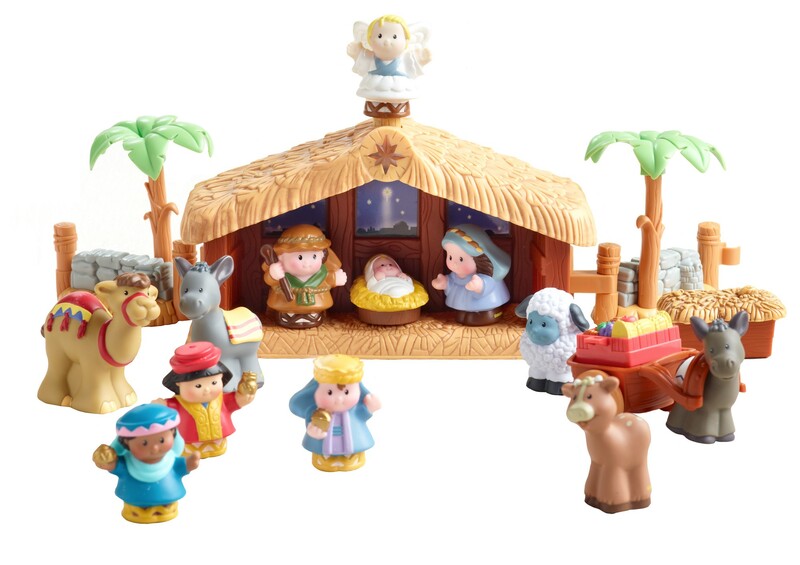 Of course any nativity set will do, but I wanted something plastic so baby Jesus would not end up in 1000 pieces. I sit out the Little People Nativity Set, with baby Jesus missing. I have hidden him somewhere in the house or outside. I begin with a simple letter explaining how Jesus was missing from the manger scene and that He was the whole reason we celebrate Christmas. 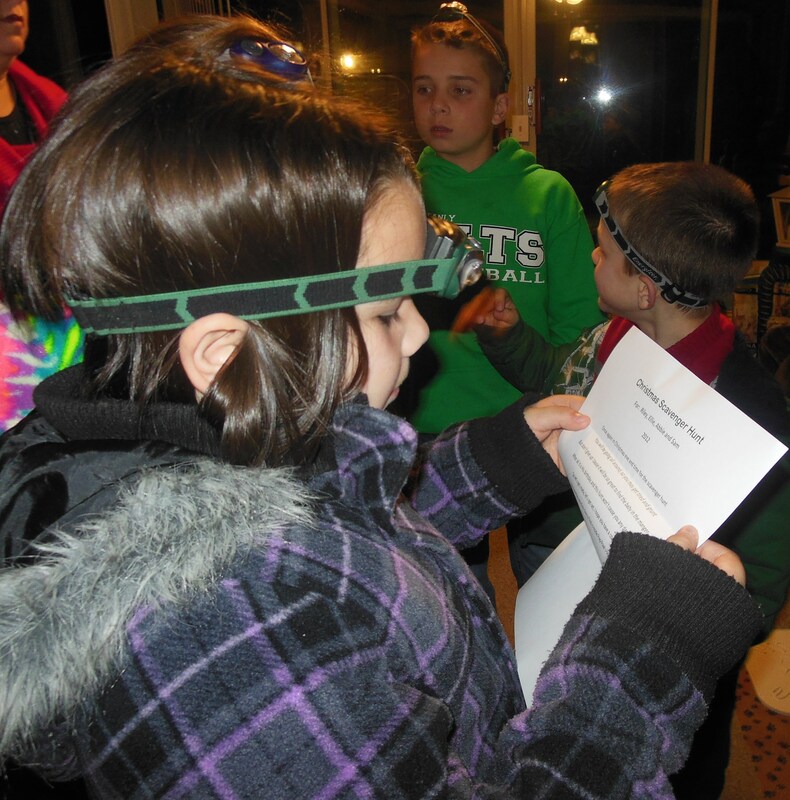 I usually include scripture from Luke and the oldest child reads the letter out loud to the family. Clue #2: Ok, that one was super easy but the next one will be hard. You must grab your coats and gloves and go out into the yard. Somewhere near the house, clue #3 is hid. You may want to begin searching in the pretty flower bed. 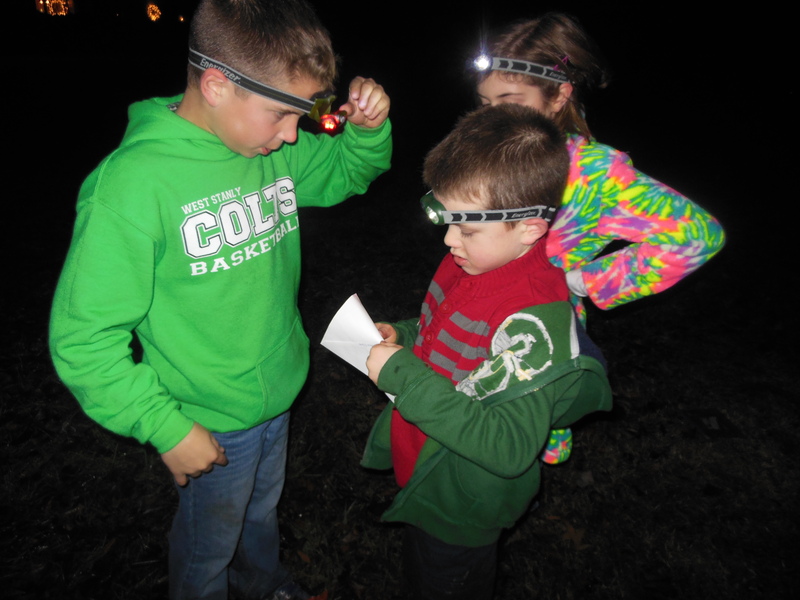 As the kids have gotten older, we have made the hunt much more difficult by adding more clues and giving them headlamps to light their way for some outside adventure. Once baby Jesus has been found, the kids come back inside, place baby Jesus in the stable, and their Grandpa reads the Christmas story. This year, think of ways you can creatively keep Christ in the center of your Christmas celebrations. Of course the presents are fun and the food is yummy, but without Jesus, we would have no reason to celebrate. He is our reason! Why not start a new tradition in your home that your family will continue for years to come! I wish you a beautiful and CHRIST-centered Christmas! Beer cans, garbage and trash everywhere! That is a beautiful tradition, I will be taking your idea =) Merry CHRISTmas and God bless. I love listening to you on 106.9 and also reading your blog.